In the past couple of years, I have switched out every single house cleaning product I owned to a natural alternative. I threw out all my commercial detergents, soaps, sprays, toilet cleaners, stain removers, etc. Have you ever noticed the scary warning labels on these products, such as, if swallowed, call poison control? If swallowing the cleaner is dangerous, don’t you think cleaning your house and then breathing that air, or touching the “clean” countertop or shower door dangerous, as well? 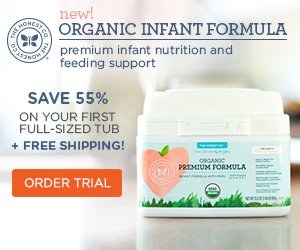 The Environmental Working Group (EWG) recently came out with a report that a study on Babyganics, a line of green cleaning products, “revealed that more than half of its products contain a preservative called HHT (Hexahydro-1,3,5-tris(2-hydroxyethyl)-s-triazine), which releases formaldehyde during product use.” Formaldehyde is a strong-smelling chemical that is a known carcinogen. To sum it up, we simply can’t trust the marketing of cleaning products to tell us the truth. We can read the list of ingredients, and see if any of them sound dangerous to us, but an easier and more reliable way of checking if your cleaner is safe exists. The EWG came out with a Guide to Healthy Cleaning. By visiting their site, you can search more than 2,000 cleaning products. The cleaners are rated from A to F, and contain detailed information as to what ingredients are harmful and what they can cause, such as allergic reactions or cancer. This free guide allows you to look for the top-rated products, or simply type in a cleaner that you’re interested in. I have done research on all my household cleaners, and I was shocked to see how many of them were rated poorly. On the other hand, I was surprised to see many brands rated well that don’t claim to be all natural, such as Oxi Clean. So, those of you that are conscious about the products you use to clean your house, take some time to visit the EWG and see if the cleaners you use are safe! Happy cleaning! This entry was posted in Cleaning Supplies and tagged babyganics, green cleaners, safe household cleaners, seventh generation by karma606. Bookmark the permalink.